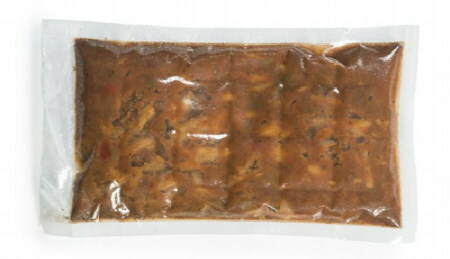 Army researchers are conducting a study to try to improve the healthfulness of MREs (meals, ready-to-eat), and they're looking for volunteers. To qualify to participate, you need to live near Natick, Massachusetts and be willing to eat MREs (and nothing but MREs) for 21 days. But the researchers say the lack of variety won't really be that bad because they've managed to come up with a book of recipes using only MRE ingredients. Recipes include "everything from specialty beverages ('Canteen Irish Cream Latte') to main dishes ('Bunker Hill Burritos') to desserts ('Fort Bliss-ful Pudding Cake')." 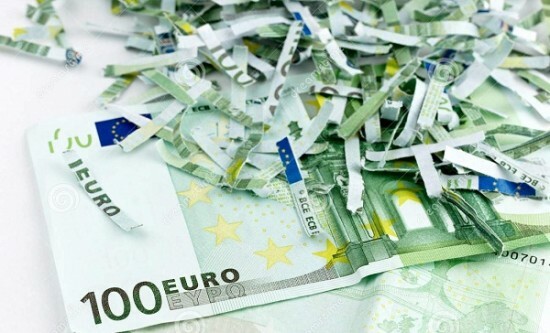 An elderly Austrian Grandmother spent her final days shredding over a million dollars to keep her heirs from inheriting the money. I guess they shouldn't have put her in a nursing home. Go Granny! 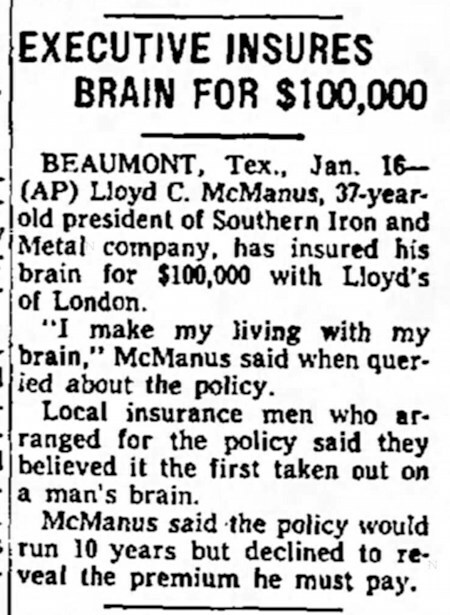 1957: Lloyd McManus, president of the Southern Iron and Metal company, insured his brain for $100,000, noting that, "I make my living with my brain." 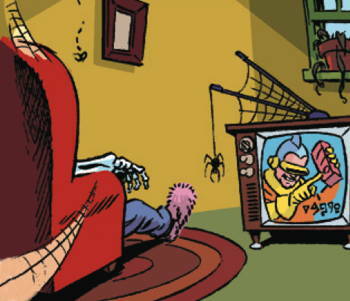 Mr. Adams dared to be different. All it got him was a divorce. Juicy Case. In Cincinnati, Rita Adams was awarded a divorce because her husband Earl never talked to her, just did "odd things like squeezing a tomato in my face." 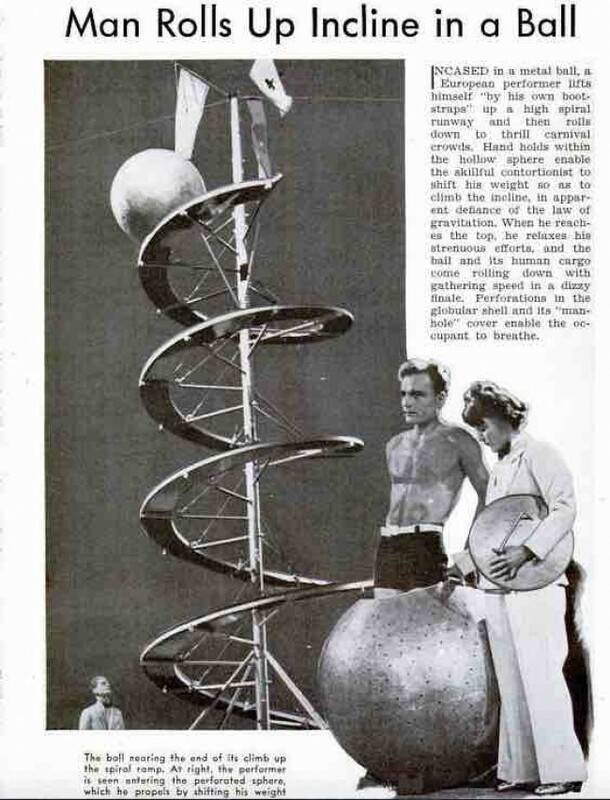 Despite the technological trend being obvious in 1954, I don't think anyone--SF writers or scientists or futurists--really anticipated something like an iPod. 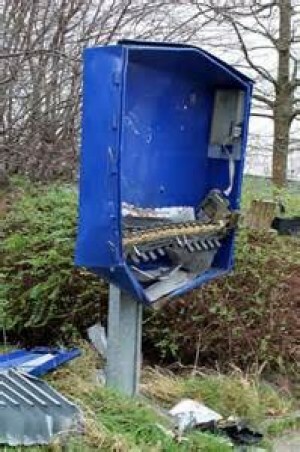 Three men decided to boost a condom machine and blow it open to get at the condoms, and presumably, the money inside. They set up the blast and ran to their vehicle for cover. Unfortunately the last guy in the car did not get his door shut in time and was struck in the head by a piece of the machine when it blew up. He later died at the hospital, Darwin Award. More on Mad Marshall Jacobs here.